Most times, it requires a gut feeling to know if an interview went well or not. Other times, it is not so clear if the conversation went well. Candidates often report one or two opposite reactions after leaving a job interview. There are many visible signs to shows that your interview went fine or not. Let’s be factual, walking out of an interview can be discomforting as much as preparing for one. It is easy to get mix reaction on what really happened during the job interview. Different signs might mean different things during an interview process. 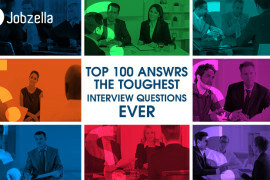 The interviewer might not smile because you gave a wrong answer or he might just be having a bad day. If an interview runs over a few minutes – that may indicate that the interviewer likes your personality or what he or she hears. 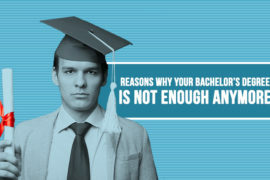 Recruiters do not like wasting valuable time on candidates that do not seem like a good fit for the job. Did the hiring personnel spend time asking you quality questions and discussing the details of the job position with you? This is a good sign to look out for. But keep in mind that situations might come up that might lead the interviewer to wrap up the interview session faster than schedule, most especially if an urgent issue that may require his or her attention in the office comes up. When the interviewer seems to spend more time promoting the benefits, the company culture, perks, pay and some of the highlights of the position and reasons why here is a good place to work, it is a great sign that they are trying to sell you on the job and position. Another great sign that the interviewer is selling you to the job is when they ask you how long it will take you to start work if hired? You know you ace an interview when the interviewers start introducing you to potential colleagues or to people who weren’t on the interview schedule. Be friendly with anyone you come across. It can also be a form of evaluation. 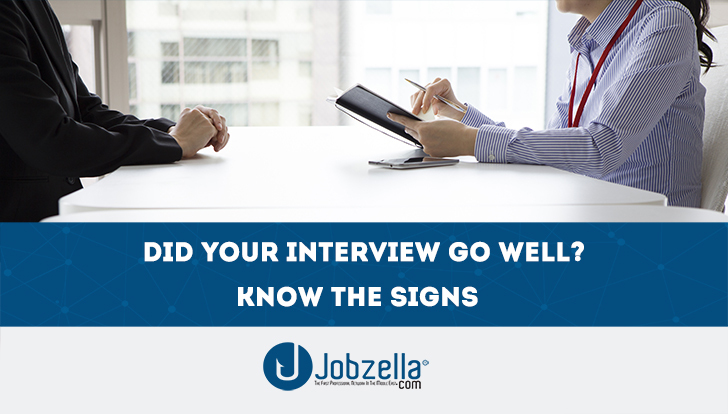 When this comes up during the first interview – that means the interviewers were impressed with your qualification and performance and are willing to fast-track the recruitment process. Most times, interviewers are not eager to discuss a particular salary structure with you – unless they’re serious about hiring you. Asking you questions on your past salary, present salary and what salary you are expecting to be paid is a good sign that you are among the few being considered for the job. As you consider these salient points, always keep in mind that regardless of how confident you feel, your intuition is only a guess until you are giving an offer and an appointment letter. Good luck as you continue to prepare and be the best in every interview. Interviews are always a daunting task for all of us. For interview tips & tricks you can check out our blog. Even better; find all the jobs you need in Jobzella & PDF’s 3rd career fair. Use what you’ve learned to snag that job opportunity you’ve been waiting for in the biggest career event of 2018.